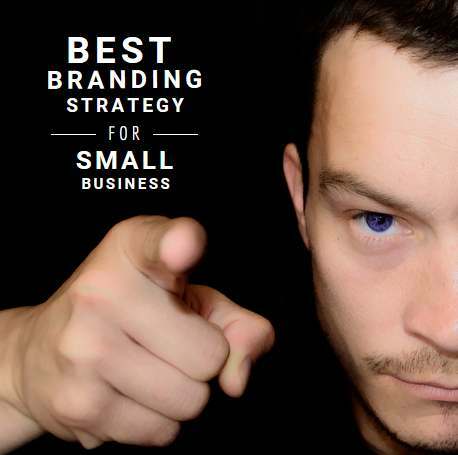 Best branding strategy for small business, individual or startups. Branding is the process of creating Brand-identity or developing brand names. Think about buying a mobile phone, big Brands like Samsung, Apple, Sony, Nokia comes in your mind, well that obvious. Whenever one wants to go for purchase a cell phone, he or she first checks the product lines from those giants. Brands or brand names create an identity, value, and a kind of perception in peoples mind that their products are best. A good brand name makes things very easy for your sales force. It is a goodwill that gives you returns year after year. It is the pain of earlier times that gives pleasure in later. Why should a local small business really care about marketing mix? Small business, especially if it is start-up weather involved in product marketing or service may find tough luck in its initial span of marketing. As people tend to avoid those start-up firms and don’t believe them. That belief should be earned. And branding helps you in that part. Today we will only mention those techniques which doesn’t require too much money to invest. So what are these let's see? Set a clear goal for your business. You must be very much clear about the facts, that Why you here. Name your business; the name should be small, easy to remember. Write a tagline and a message about your business; try to make it short, simple and touchy. Use it as a short advertising message.’ And most importantly stick with the tagline. Create a graphic design logo of your business; logo must reciprocate your business goal. You can create a logo yourself or hire a logo designer. No fancy logo required initially. Use your custom logo, Tagline and message in all business materials like business cards, brochure, invoice, pamphlets, glow shins, boards, packages etc. Search for the social network, classified, business directories submit your websites here and write about your product or services. Use YouTube for a video demonstration of their products. Flicker, Instagram, Pinterest could be helpful displaying your product pictures. These steps mention in "Best branding strategy for small business, individual or startups" can surely help one to the creation of initial buzz. But the buzzes will fade away fast if you do not stick with your promises you made in taglines. You must stick to your goals and objective. After getting the clients it’s up to you to retain them. Everybody likes to get treated well. So with better customer service, Speedy delivery, after-sales support, genuine deals you can expect a better return in the long run from your small business.